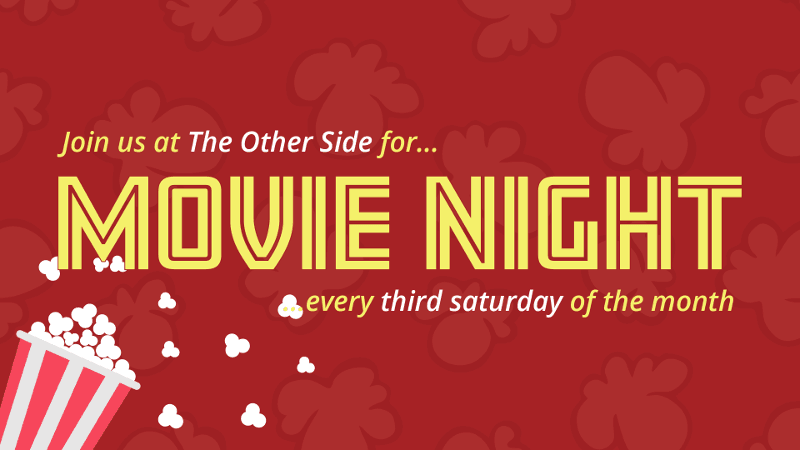 Join us every third Saturday of the month at The Other Side as we kick back and enjoy a great movie! Stay tuned because we will announce what the film will be on Facebook during the week leading up to each movie night. Register for Event: Movie Night!